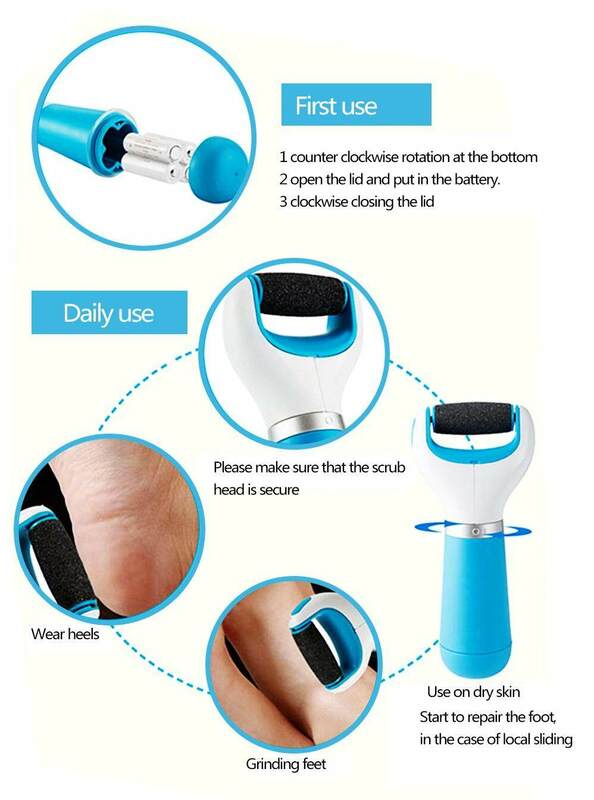 1, easy to remove dead skin, scleroderma. 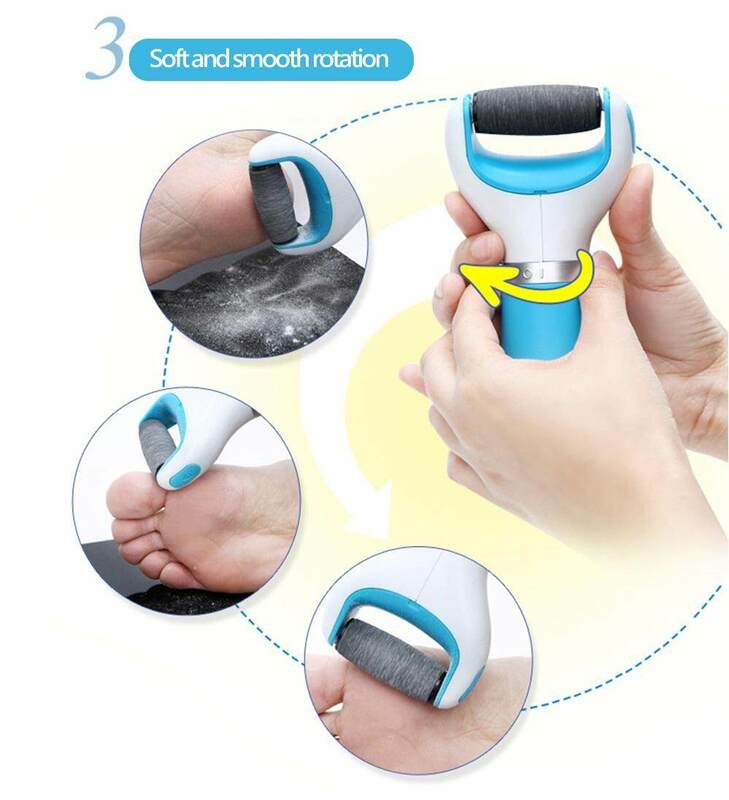 2, to maintain smooth and soft feet. 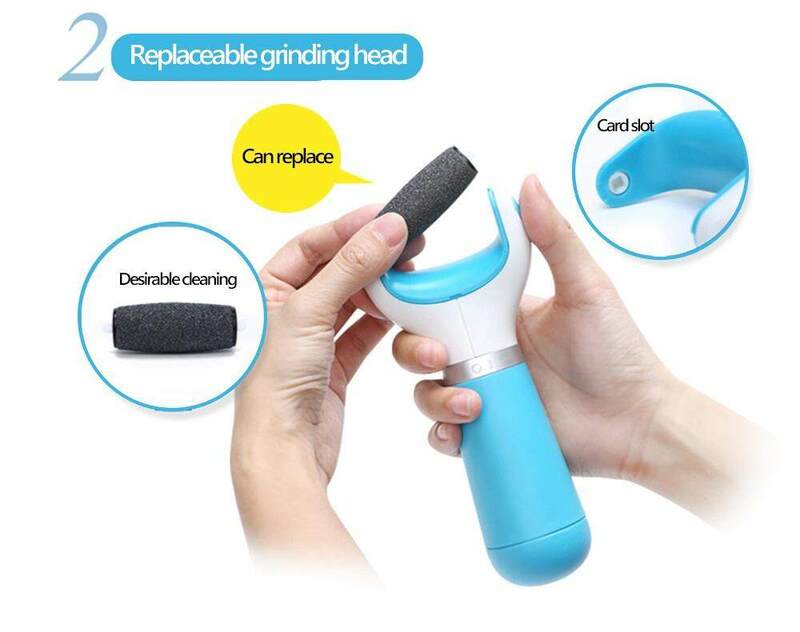 3, can be used repeatedly, you can replace scrub head. 2. 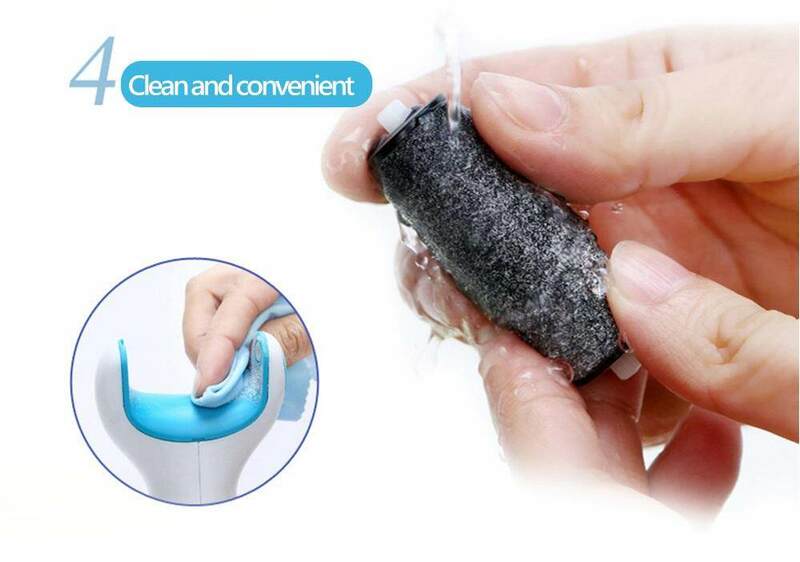 Specially designed Micralumina replaceable go crusty roll. 4, battery-powered, ready to use. 1, before using to remove the protective plastic cover crusty roll. 2. Make sure to crusty machine rollers firmly grip on the device. In the case of the wheel is not installed do not start to crust. 3, will go on crusty crusty roll gently slide, dead skin will be removed. 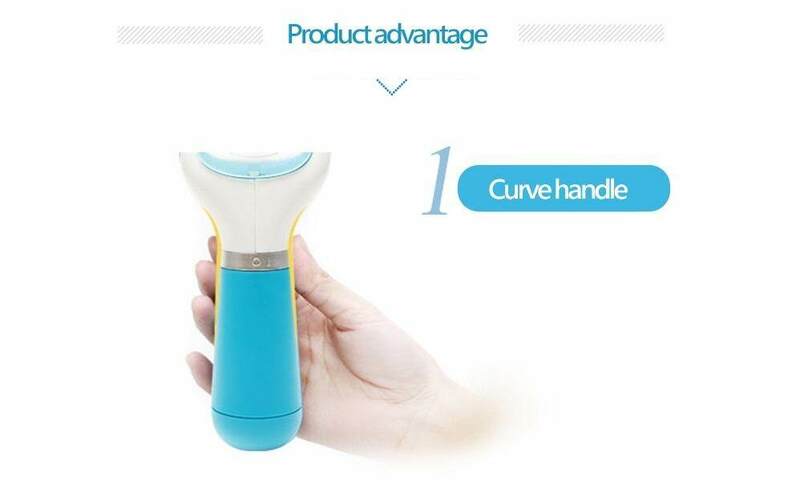 Product can only be used for dry skin. 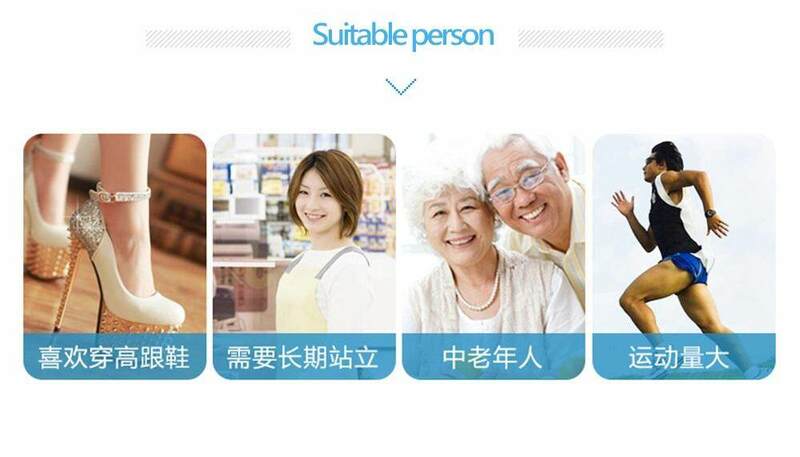 Do not vigorously pressed, otherwise the product will stop functioning. 4. 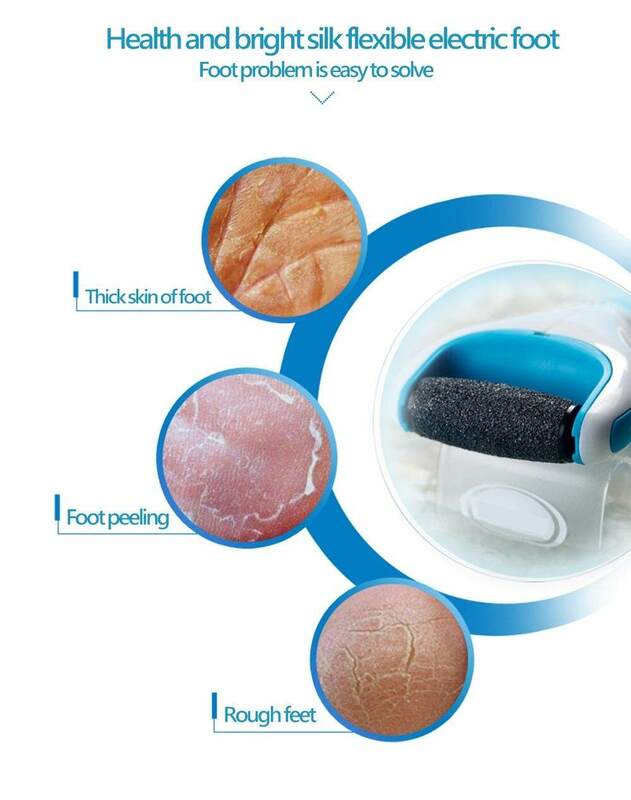 Turn off the host computer and check if you expect to have reached the foot skin as smooth. If you have not reached the target, launch the device in mind the desired effect, and repeat the above steps to. Warning: Remember not to use products on the same site more than 3-4 seconds. If the skin becomes painful or inflamed, stop using it immediately. 5, let the feet smooth reply. 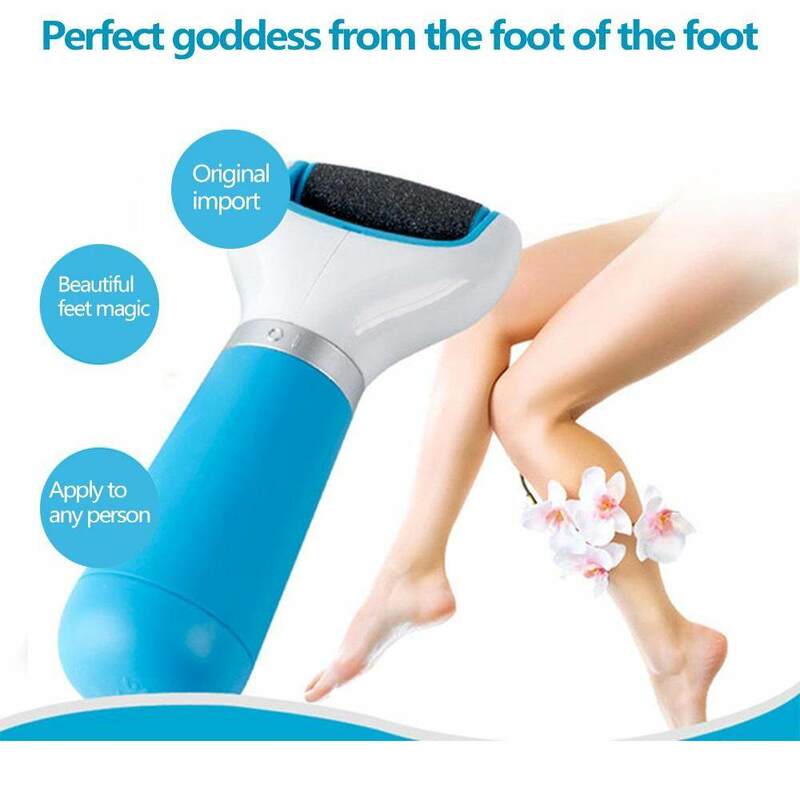 6, wipe or wash feet clean up excess dead skin has been removed. 8, moisturizing cream silky massage to your feet. 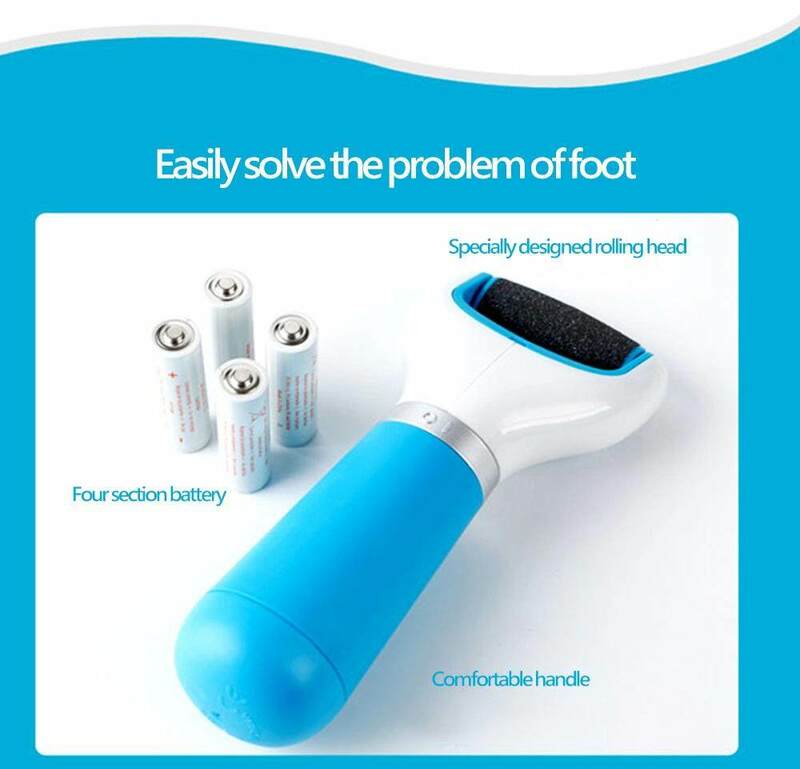 1, the product must be used under the feet dry conditions! Feet, the old skin after a bath will soften but not conducive to polish. 2, must be polished back and forth, a rigorous long stay, make the skin rapid warming and hot to! 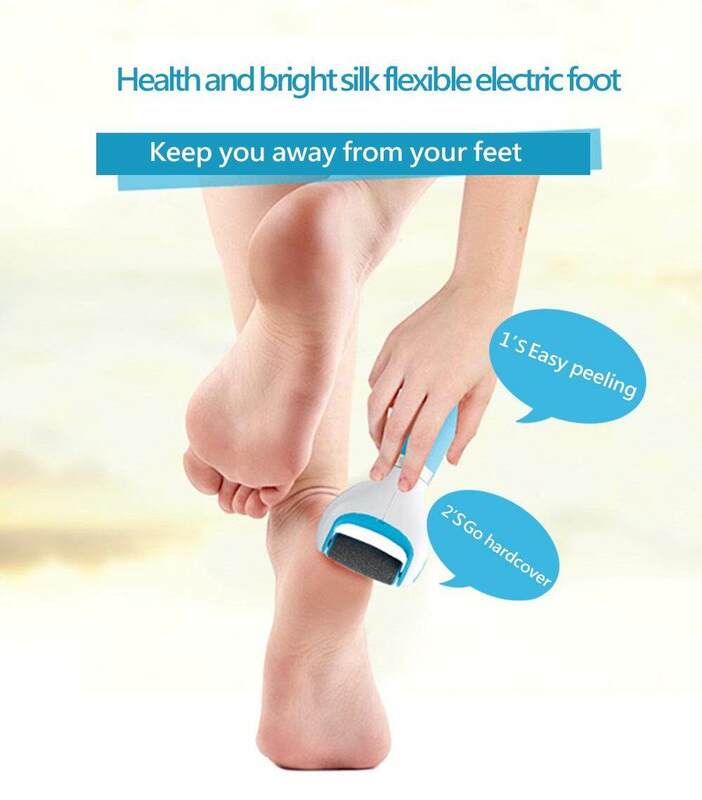 3, foot wear will not only pressed gently slide open, do not force, otherwise more cost electricity!